Dennis Span is a Senior System Engineer who works for a large insurance company in Vienna, Austria. He has more than 15 years of experience in end-user computing working with a wide range of Citrix and Microsoft technologies. One of his main focus points is automation and scripting. Dennis shares his knowledge and scripts on this blog and is a regular speaker at various international events. He holds multiple Citrix certifications, such as CCE-V for CVAD (XenDesktop) 7.15 and CCIA. Dennis received his first community recognition in 2017 when he became a Citrix CTA. 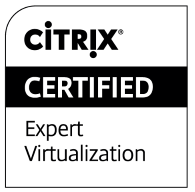 In 2019, Dennis was awarded the status of Citrix CTP. He has a Bachelor of Economics (BEc.) and a Bachelor of Science in Engineering Management (BSc.). 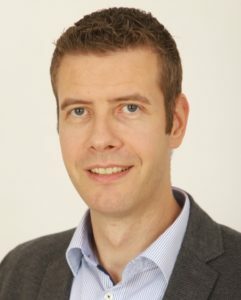 He is fluent in Dutch, English and German and proficient in Slovak and Spanish. Born and raised in the Netherlands, he moved to Austria in 2004. Dennis is married and has two children. Besides spending time with his family and his interest in IT and blogging, his hobbies include rowing, running, snowboarding, basketball, movies and video games (if there is time :-). This is a personal weblog. The opinions expressed here represent my own and not those of my employer. All data and information provided on this site is for informational purposes only. Dennisspan.com makes no representations as to accuracy, completeness, currentness, suitability, or validity of any information on this site and will not be liable for any errors, omissions, or delays in this information. All information is provided on an as-is basis.